Angular 6 is a structural framework for dynamic web apps. It lets you use HTML as your template language and lets you extend HTML's syntax to express your application's components clearly and succinctly. Angular 6's data binding and dependency injection eliminate much of the code you would otherwise have to write. And it all happens within the browser, making it an ideal partner with any server technology. Angular 6 is what HTML would have been, had it been designed for applications. HTML is a great declarative language for static documents. It attempts to minimize the impedance mismatch between document centric HTML and what an application needs by creating new HTML constructs. 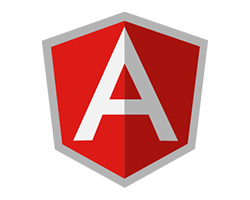 Sign up for our Angular 6 UK Hosting with no risk to try our excellent service start from £2.99/month! ASPHostDirectory.com offers cheap Angular 6 Hosting to all our new and existing UK customers. You can try our services before buy it. Get FREE 7 days Trial Hosting with us. There's no obligation to buy — you can upgrade to a more robust account or cancel at any time. No risk anymore, why wait longer?